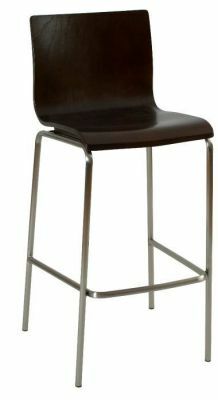 Popular four leg high stool in a choice of Beech or Wenge, with a four leg frame in Black, Chrome or Stainless steel. Available from stock for a 2-3 day lead time. 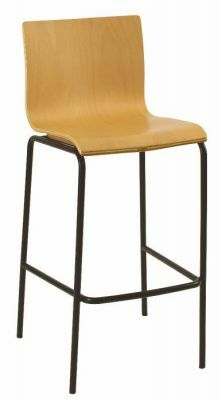 Contemporary collection of bar stools and bistro chairs held in stock for a quick delivery. 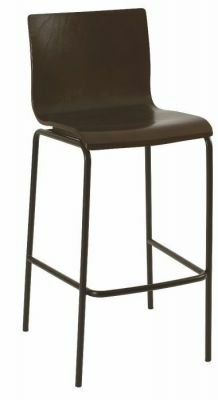 Includes a sturdy metal frame and curved seat for comfort. 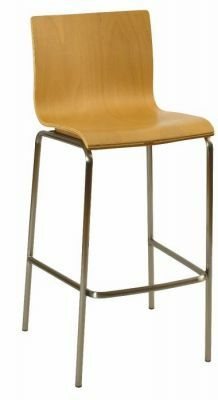 This range offers great value for money and a speedy delivery.